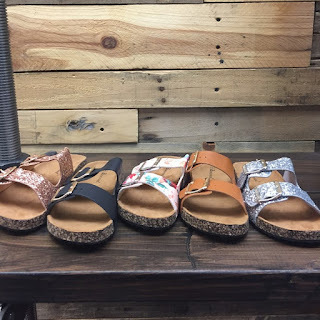 Loving these Kids Two Strap Summer Sandal "Like Birkenstocks" $13.99 (Retail $32.99). These easy slip-on sandals are perfect for girls on the go! Fun bright colors to lighten any outfit for summer! $4.99 for the first item and $2.99 for each additional item. US only. Seller usually ships within 2 business days. Ships no later than Wed, Jul 25.